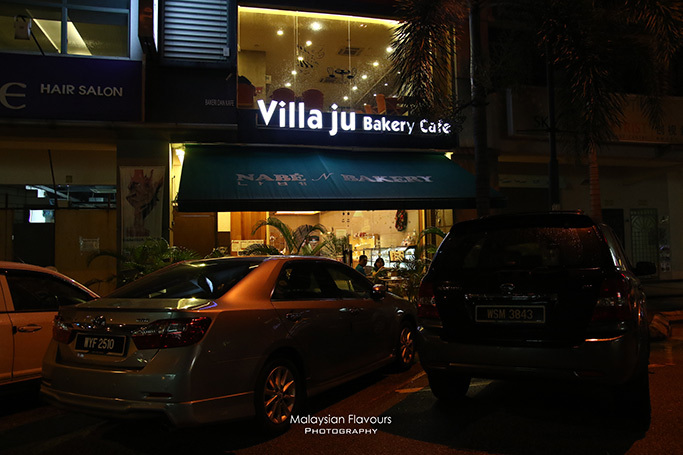 Villa Ju Bakery Cafe, formerly known as Nabe Bakery (next to Wanderlust Coffee), is never in our must-visit cafe list, even though it has been around Solaris Mont Kiara KL for quite some time. 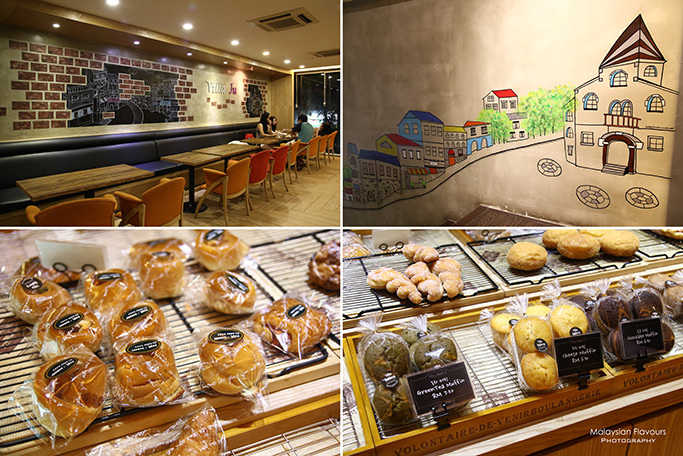 However, since we have visited most cafes within these few rows of coffee places in Solaris – Brewmen Coffee, Wanderlust Cafe, Lewisgene, Caffe Bene, Pretz n’ Beanz, we decided to give Villa Ju Bakery Cafe a try. 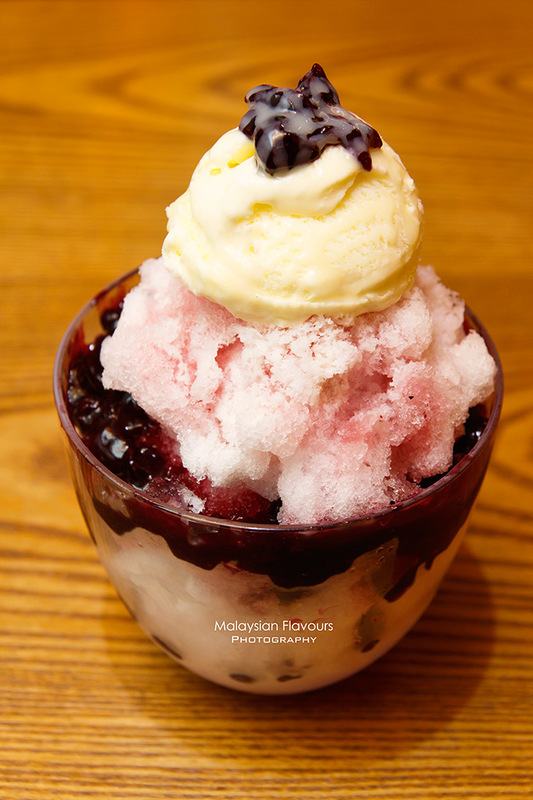 Plus, Summergirl was craving for Korean shaved ice that evening, thanks to the lovely bingsu we tried at BingSu Cafe, Damansara Uptown last week. Our experience at Villa Ju Bakery Cafe wasn’t really great, mainly due to communication issue, and quality of their coffee and dessert. We were welcomed with warmth greetings but once we proceed to the counter and started ordering, things changed weird after then. 1) After placing our order, we wanted to took a picture of Villa Ju Bakery Cafe beverage price list, so that we can include in our write up. But all staffs stopped us from doing so. They were speaking good English when we placing our order, but suddenly they seem couldn’t understand what we talked and just say NO NO NO though we trying to communicate in simple English, telling them we are bloggers, we want to introduce Villa Ju Bakery Cafe in our website, no copying their menu, no business, etc.. Yet, they just say NO NO NO NO NO. =.=||| OK lor, cannot take then don’t want take lor, explain pun no use. 2) Meanwhile, Summerkid insisted to take some pictures around the cafe in order to make up a complete post for Villa Ju Bakery Cafe. Sadly, again, the staff came over and told us not to take any photos, plus requested him to delete pictures he had taken. We tried to explain again these pictures would not go into commercial purpose, only for blogging purpose to introduce their cafe to our readers. We passed our namecard too, but they just shake their head and kept saying NO NO NO NO NO. Hmm, do we look like salesperson? Anyway, the photographer was good for not deleting all photos. So here are the few to share with you all. 3) We ordered one caffe latte and bluberry ice bingsu. Latte arrived in a jiffy, but they took more than 30 minutes to prepare our bingsu, and there were just few customers at that time. 4) Villa Ju Bakery Cafe bingsu looked pretty, but tasted odd, especially the blueberry. We felt like munching into rotten fruits, with funny smell. Didn’t bother to ask more to the staffs, since we have had enough of NO NO NO NO from them. We just continued digging into the bingsu till half finished, since it was rather pricey at RM17.90 for just plain shaved ice + funny taste bluberry + ice cream. Bingsu Cafe at Damansara Utama/Uptown version fares much better for giving premium milk shaved ice + generous amount of delicious berries + ice cream at the same price. Putting aside miscommunication issue between both parties, let’s have an insight on what we had tried. 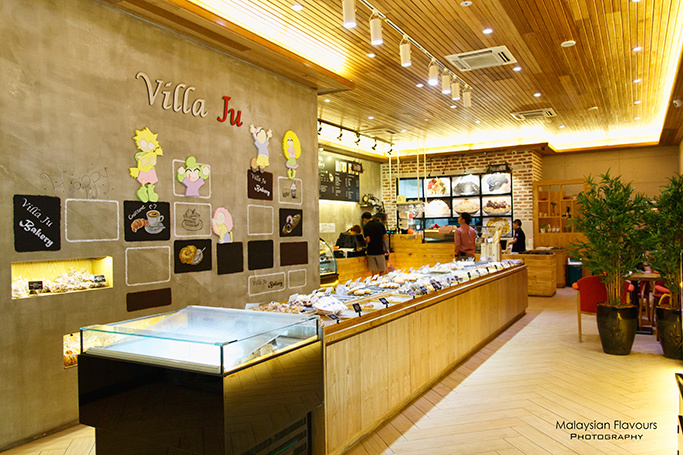 Generally, Villa Ju Bakery Cafe focuses on coffee, breakfast set, breads, cakes, dessert, and bingsu. Simple lunch and dinner menu such as spaghetti are available too. 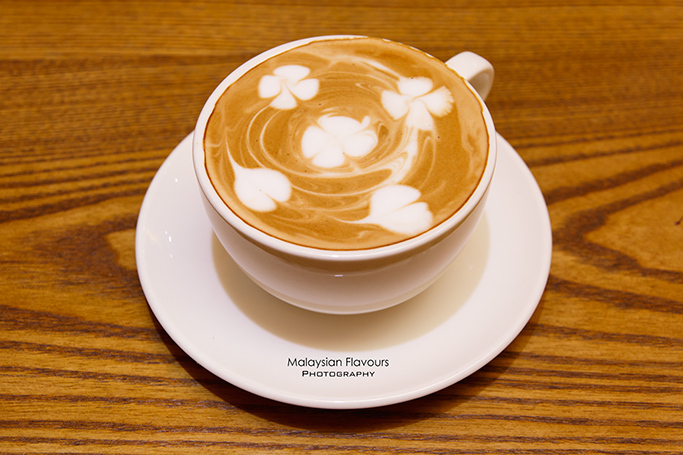 Our latte, priced at RM9.50 was considered reasonable, as it was served in a bigger cup (maybe double the size) compare to many other coffee places. Downside: It was scalding hot, tongue burning. Milky and smooth but lack of flavour. 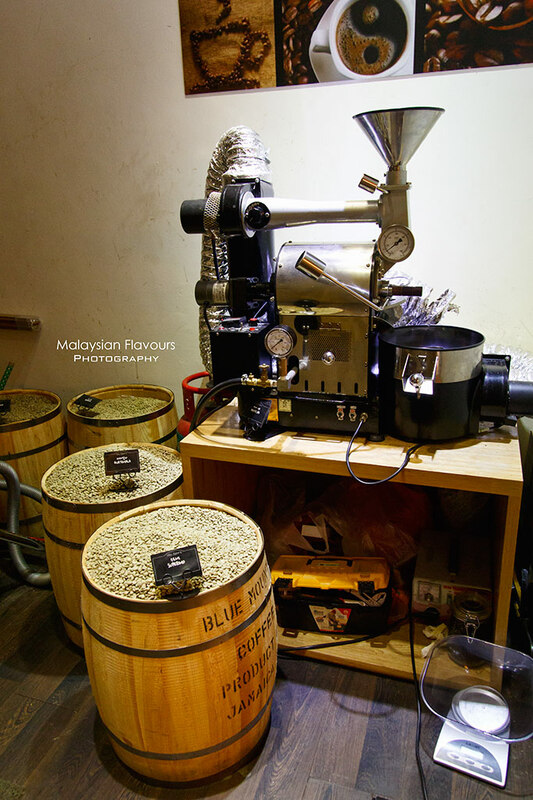 We saw a small roasting machine at the side of the staircases that leads diners to the 1st floor of Villa Ju Bakery Cafe, so we believe the owner roasts his own coffee beans in order to reach for the best, freshest quality beans for their coffee. Villa Ju Bakery Cafe serves two types of Korean Bingsu – Villa Ju Ice Flake Bingsu (*plain shaved ice) and Villa Ju Premium Milk Bingsu (*shaved milk ice). Their plain shaved ice bingsu is priced at RM14.90-RM17.90 for friends size, RM26.90-RM34.90 for family size, RM39.90- RM45.90 for party size. Choose among Fruits Bingsu, Blueberry Bingsu, Oreo Bingsu and Mango Bingsu. 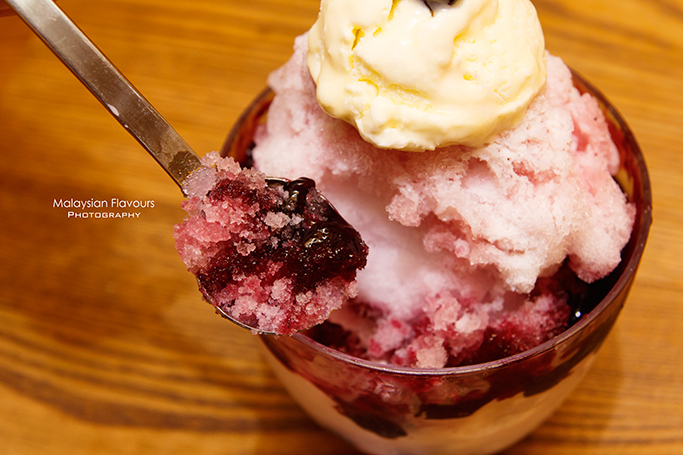 For shaved milk ice bingsu, it costs a whopping RM27.90 for the Milk Bluberry Bingsu which we wanted to order initially. Higher price for their Milk Injeolmi Bingsu, Milk Pat Bingsu. Only plain Milk Bingsu is below RM20, which is RM19.90. The price may be common, frankly not a surprise in Korea. In Malaysia, definitely it is way too expensive for a dessert. Still, highly recommend Bingsu Cafe at Damansara Uptown. Comments: Service is good, polite in Villa Ju Bakery Cafe, just hope there will be no more NO NO NO NO from the staff in case we plan to visit again. Bingsu is just OK, better than Caffe Bene for the same “category”, but we like BingSu Cafe more.